We’d love your help. Let us know what’s wrong with this preview of The Valley of Vision by Arthur Bennett. To ask other readers questions about The Valley of Vision, please sign up. Roxy I am currently reading these prayers. They are beautifully written and are helpful in guiding me in my prayers. Quite possibly the best book I've read all year. These prayers are amazing. In Mudhouse Sabbath, Lauren Winner talks about the benefit of a formal prayer book. She notes that her free-form prayers often devolve into narcissism (this has definitely been my experience), but that the formal, written prayers refocus her on God. This book is a great example of the benefit of written prayers. My own free-form prayers often send me down a rabbit hole of my own personal worries and burdens--worries and Quite possibly the best book I've read all year. These prayers are amazing. In Mudhouse Sabbath, Lauren Winner talks about the benefit of a formal prayer book. She notes that her free-form prayers often devolve into narcissism (this has definitely been my experience), but that the formal, written prayers refocus her on God. This book is a great example of the benefit of written prayers. My own free-form prayers often send me down a rabbit hole of my own personal worries and burdens--worries and burdens that I am right to share with God. But I think every one of the prayers in this book contains the Gospel, and when I read them, I am preaching the Gospel to myself. Instead of bringing my problems to God for Him to change, I find my focus shifting to my own sin, God's grace, Christ's sacrifice, and my own undeserved salvation. May my words and works allure others to the highest walks of faith and love. the very essence of my religion. May I always know that a clean heart full of goodness is more beautiful than the lily, that only a clean heart can sing by night and by day, that such a heart is mine when I abide at Calvary. It's amazing that Puritan prayers from hundreds of years ago are still so applicable and powerful in modern times. My favorite of the collection is "Morning Dedication," which ends this way: "May I speak each word as if my final word, and walk each step as my final one. If my life should end today, let this be my best day." Good. First read it in 2002. Listened to an audio version of it narrated by Max McLean in 2015. That was good too. McLean's reading is good, although it sometimes borders on creepy. The Puritans represented are really solid. Their prayers sometimes veered into the predictably puritanical introspection, but there were many glorious stretches where they were doing nothing of the kind. There were many edifying phrases. One of my favorite works! Putting words to prayers I cold only dream of praying. Immensely encouraging, challenging and inspirational! It took me a long time to work through it because the wealth of content was so deep. One of the most influential books in shaping my walk with Christ over the past four years. Will continue to read and re-read... many jewels here. The book I read, re-read and read again. My lifetime favorite. Stirs the soul and engages the affections. This is a collection of prayers and meditations which the editor gleaned from Puritan writings. I picked this one up because I was doing a year-long study on prayer and was told this book contained good examples of prayers. The person who told me this was not wrong. The language used by the writers of these prayers was beautiful and gave me much to think on. In addition, I gathered many examples of how to incorporate Scripture into my prayer life. If you too are looking for ways to enhance your This is a collection of prayers and meditations which the editor gleaned from Puritan writings. I picked this one up because I was doing a year-long study on prayer and was told this book contained good examples of prayers. The person who told me this was not wrong. I'm not sure if there is a more beautiful book of poetry in existance. The out pouring of love, adoration, begging for mercy, prayer for every element of life, brutal honesty found in these verses is enough to bring a sinner to tears. The praise of the Lord is uplifting. I found the whole thing to be both convicting and enriching of my prayer life. I can't recommend this book enough. Let it infuse your study time. 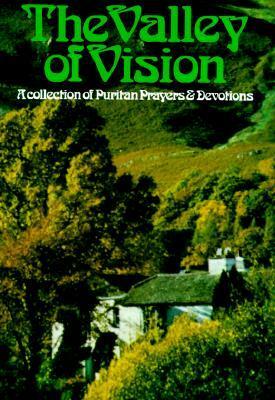 The Valley of Vision is a collection of prayers, 195 in all, compiled by Arthur Bennett from various men from the 17th, 18th and 19th centuries, including John Bunyan, Thomas Watson, David Brainerd, Isaac Watts, Augustus Toplady, Philip Doddridge, and Charles Spurgeon, as well as others. These short, devotional, poetic prayers are a wonderful way to start and/or end each day. They would serve well for private, personal devotions and meditation, or for family worship. The prayers in this collectio The Valley of Vision is a collection of prayers, 195 in all, compiled by Arthur Bennett from various men from the 17th, 18th and 19th centuries, including John Bunyan, Thomas Watson, David Brainerd, Isaac Watts, Augustus Toplady, Philip Doddridge, and Charles Spurgeon, as well as others. These short, devotional, poetic prayers are a wonderful way to start and/or end each day. They would serve well for private, personal devotions and meditation, or for family worship. The prayers in this collection highlight such doctrinal truths as the roles of the persons of the Trinity, the sovereignty of God in salvation, the importance of mortifying sin, the attributes of God, the atoning work of Christ on the cross, and the sanctifying work of the Holy Spirit in the life of the believer. 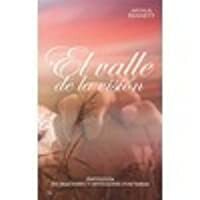 The poems express thoughts of praise and thanksgiving, encouragement, comfort, humility and repentance. Unlike much of what is written for Christians these days, these passages rightly elevate God’s Word and works and the person of the Lord Jesus Christ, and keep a proper perspective of man and his dependence on the Lord for all he is and has. "Thou hast brought me to the valley of vision, where I live in the depths but see thee in the heights; hemmed in by mountains of sin I behold thy glory. thy glory in my valley." "These prayers reveal a personal, humble, passionate relationship with an awesome God, a living Savior, and an active Spirit. Reading their meditations inspires us to pursue the same level of reality as we worship God." Praise everlasting to thee, O Holy Spirit, for applying this way to my heart." "[Father,] Thou hast given me a Saviour, produce in me a faith to live by him, to make him all my desire, all my hope, all my glory. obey him as my king." "It is not feeling the Spirit that proves my saved state, but the truth of what Christ did perfectly for me…It is not inner sensation that makes Christ’s death mine, for that may be delusion, being without the Word, but his death apprehended by my faith, and so testified by Word and Spirit." A wonderful book of prayers. Great quiet time companion book. Lord, high and holy, meek and lowly, Thou hast brought me to the valley of vision, where I live in the depths but see Thee in the heights; hemmed in by mountains of sin I behold Thy glory. Let me learn by paradox that the way down is the way up, that to be low is to be high, that the broken heart is the healed heart, that the contrite spirit is the rejoicing spirit, that the repenting soul is the victorious A wonderful book of prayers. Great quiet time companion book. I find myself returning to this volume again and again. When my spirit withers and I am parched in the desert where there is no water, I come to the stream with expectation and drink my fill. But time passes and the journey continues and I must return for more. Often I need a different spot because "you can't always get back the same way." That's okay because there are plenty of verses and prayers. They are thematically linked but different enough to show me refreshing new scenes on my way to se I find myself returning to this volume again and again. When my spirit withers and I am parched in the desert where there is no water, I come to the stream with expectation and drink my fill. But time passes and the journey continues and I must return for more. Often I need a different spot because "you can't always get back the same way." That's okay because there are plenty of verses and prayers. They are thematically linked but different enough to show me refreshing new scenes on my way to see Jesus. I recommend this devotional book for passionate seekers of truth who desire beauty and require practicality in their spiritual pilgrimage. As the title says, this is a collection of old, yet very true and wise prayers by godly people from the Puritan period. They are profoundly insightful and heart stirring. These prayers wonderfully assist God's children in having deeper, more meaningful thoughts of our Lord. Anyone wishing to develop shallow, flipant beliefs would find this an uncomfortable read. This is a seriously healthy read which can be returned to many times over many years, and without disappointment. Even though this is in my "read" section, it is a book that can be read over and over again. These prayers focus my own prayers heavenward and really give me a vision to see how to pray and what to pray. High recommended! Absolutely beautiful. Convicting and humbling. Every Christian should read take the time to read this. A former pastor introduced me to this amazing book of prayers when he quoted it in worship. I decided to buy a copy and spend this year slowly reading them in morning devotions. Collected and edited by British author Arthur Bennett, it contains over 200 prayers of Puritans such as Richard Baxter, David Brainerd, John Bunyan, Isaac Watts, and Charles Spurgeon, whom Bennett calls "the last of the Puritans." (However, Arthur does not identify the authors of the individual prayers.) The prayers are A former pastor introduced me to this amazing book of prayers when he quoted it in worship. I decided to buy a copy and spend this year slowly reading them in morning devotions. Collected and edited by British author Arthur Bennett, it contains over 200 prayers of Puritans such as Richard Baxter, David Brainerd, John Bunyan, Isaac Watts, and Charles Spurgeon, whom Bennett calls "the last of the Puritans." (However, Arthur does not identify the authors of the individual prayers.) The prayers are grouped by sections under ten subjects such as the Trinity, redemption, penitence, and service. The final section are a collection of morning and evening prayers for each day of the week. These prayers use poetic rhythm and repetition to deliver a powerful emotional punch. For example, the prayer "Spiritus Sanctus" (p. 27) begins, "O Holy Spirit, as the sun is full of light, the ocean full of water, Heaven full of glory, so may my heart be full of thee..." Others use poetic imagery, as the prayer "Humility in Service" (p. 178), which includes the line, "O bury my sins in the ocean of Jesus' blood..."
Modern readers may find many of the prayers to be extremely self-deprecating and so full of humility that the reader appears too hard on himself. For example, "After Prayer" (p. 150), says, "Let me be as slow to forgive myself as thou art ready to forgive me." I would question the spiritual healthiness of being slow to forgive oneself. Yet with that caution, modern culture has gone so far in the opposite direction, that most modern Christians could benefit from a healthy dose of feeling the heaviness of sin. A wonderful prayer-devotional! At times, the written prayers voiced my heart better than I ever could. Just to read/pray through “The Valley of Vision” once, or even twice, is not enough. I will keep this prayer-book close by. Very introspective. Very relevant to the times. I could see how people might be intimidated by Valley of Vision. Why? Two reasons. First, it is a collection of poems. Some people do really love poetry, the experience of reading--feeling--a poem. But others not so much. Some poems can be really hard to unpack and understand. Sometimes poems leave you feeling disconnected, like you just can't relate. Second, all of the poems are by Puritans. Within some Christian circles, there's a celebration--an appreciation--of Puritans. So the fact that thi I could see how people might be intimidated by Valley of Vision. Why? Two reasons. First, it is a collection of poems. Some people do really love poetry, the experience of reading--feeling--a poem. But others not so much. Some poems can be really hard to unpack and understand. Sometimes poems leave you feeling disconnected, like you just can't relate. Second, all of the poems are by Puritans. Within some Christian circles, there's a celebration--an appreciation--of Puritans. So the fact that this book is a collection of Puritan authors will be cause of rejoicing for some. But I don't think it's a stretch to say that Puritans have--on the whole--a bad reputation. Whenever I see a stereotypical Puritan in fiction, I cringe! Though I was a little worried by the poetry aspect of this book, I was excited about the Puritan aspect!!! I decided to "risk" it and ask for Valley of Vision as a Christmas present with the hope that it would be a TREASURE that I'd want to read and reread. Essentially I want my review to carry across the point: DON'T BE INTIMIDATED; READ THIS BOOK! Some sections are longer than others--feature more poems that is. And you might notice some overlap in the themes. All themes, in my opinion, could be filed under "Christian Living" or "Theology." What should you know? A few things. One. All the poems are presented anonymously. Arthur Bennett includes a bibliographical list of books he referenced, but that is it. We simply do not know who wrote what. Does that matter? Yes and no. Yes, in that I would love to be able to read more from my favorites. No, in that it doesn't change the goodness--the greatness--of the book. You don't get distracted from the main point: the worship of God. Two. The poems are relevant. Yes, I want to say that emphatically. The poems ARE relevant. Human nature hasn't changed all that much. We struggle. We sin. We doubt. We believe. We repent. We confess. We pray. We praise. We rejoice and give thanks. We seek. We bow down. We testify. The poems reflect who we are as believers. But our humanity is never the focus of the poems. The poems ARE God-centered, God-focused. Each poem points you to God. Each poem is theologically rich--substantive. I never felt detached from the poems. There was a connection. Three. This would make a wonderful devotional. If you're looking to preach the gospel to yourself daily, then this is a GREAT place to start. For no matter the "theme" in the section you're reading, you're reminded again and again of the gospel. Hardly a Christian prays such a well-conceived and considered prayer as a Puritan elder. This collection is a treasure of good doctrine poured out to heaven with fervency. Following Christ's model prayer, these prayers take the reader (or listener, there is an exceptional audio version) into the world of reverent awe, total dependency upon God, and humble petitions made to an all-sovereign Lord. Want to learn how to pray, all the while learning about He to whom we pray? Get a copy, enjoy it, and Hardly a Christian prays such a well-conceived and considered prayer as a Puritan elder. This collection is a treasure of good doctrine poured out to heaven with fervency. Following Christ's model prayer, these prayers take the reader (or listener, there is an exceptional audio version) into the world of reverent awe, total dependency upon God, and humble petitions made to an all-sovereign Lord. Want to learn how to pray, all the while learning about He to whom we pray? Get a copy, enjoy it, and treasure it.